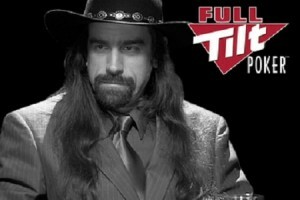 If you are into some fast action, then Full Tilt Poker has something for you. This brand of Rational Group recently launched Jackpot Sit & Go Tournaments which allows players to take part in rapid tournaments. Jackpot Sit & Go tournaments have now been introduced by Full Tilt Poker. These tournaments work by matching a player with two opponents. This is done based on the buy-in level which ranges from $1 up to $10. The prize pool is then calculated by randomly multiplying the buy-in by two times or 2,000 times. With Full Tilt’s Super Turbo structure, players can quickly play tournaments while standing in line to win massive jackpots. This new feature, which will be available on mobile within the next few months, gives players the opportunity to win up to $20,000. In February this year, Full Tilt Poker launched Rush Poker, its fast-fold product for iOS and Android. This came shortly after Adrenaline Rush went live which is an even faster fold game. Full Tilt Poker also launched Flipout Tournaments this year. Here players go all-in during the first round of the game and in this way, each round is over within minutes. The winner, however, gets moved to the next round with a guaranteed payout. The remaining players have the option of then playing in standard tournaments.